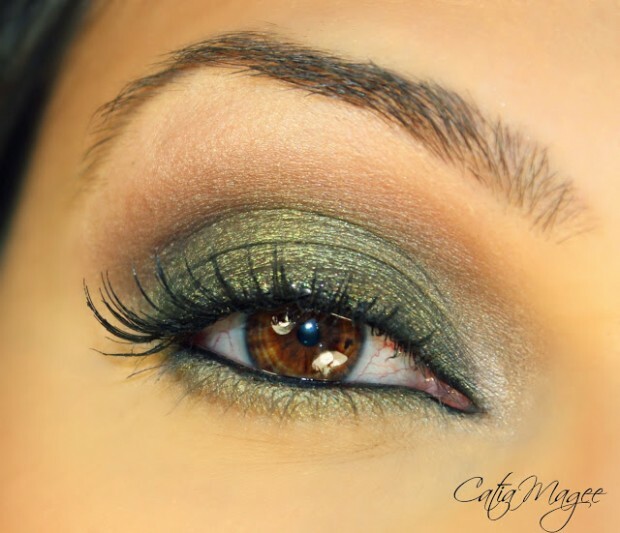 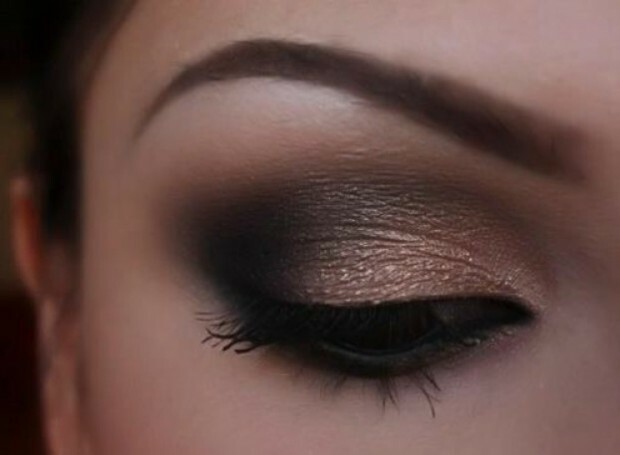 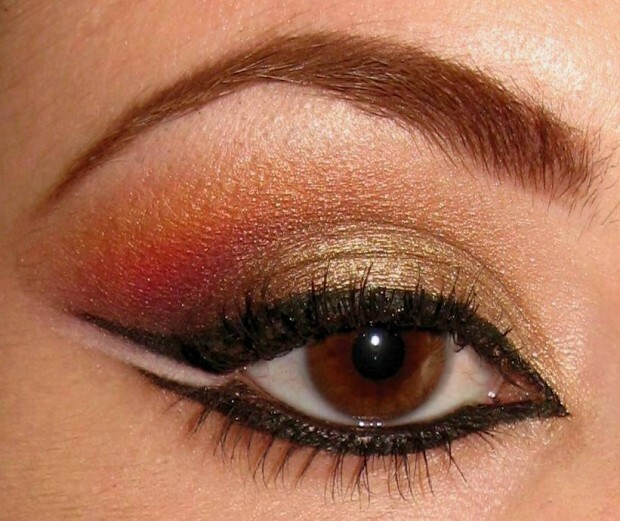 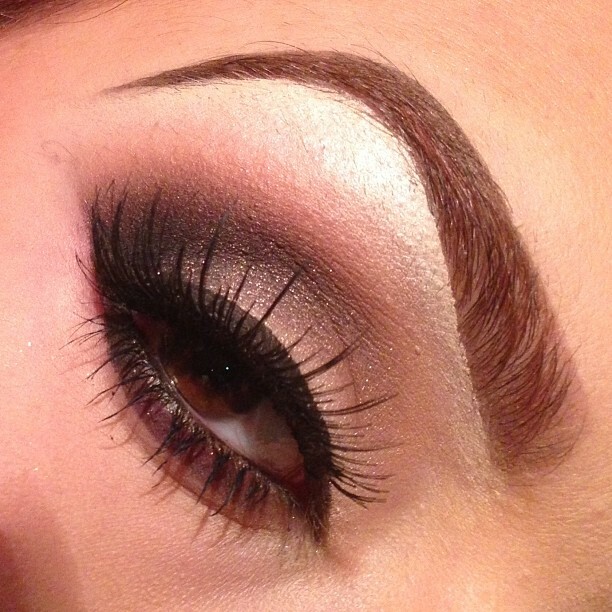 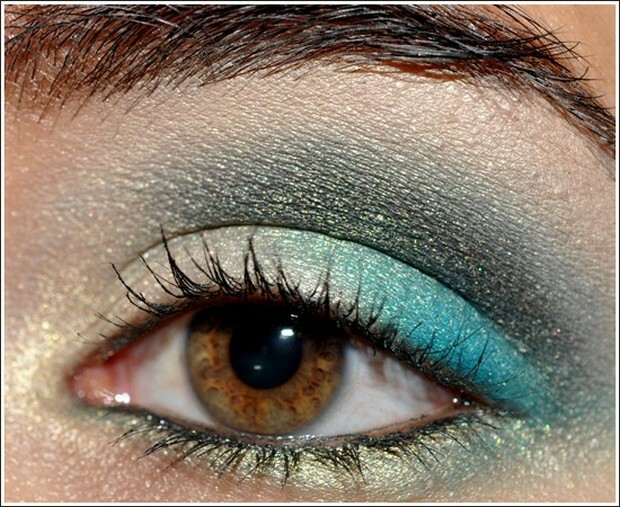 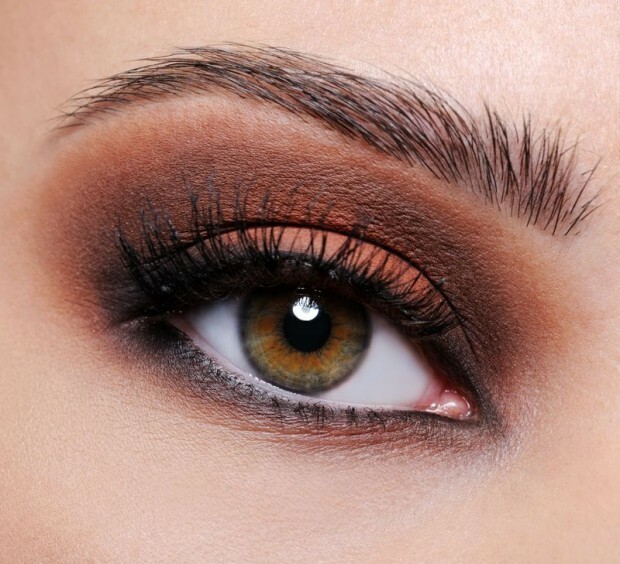 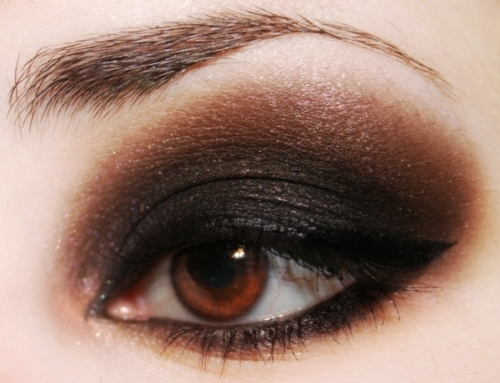 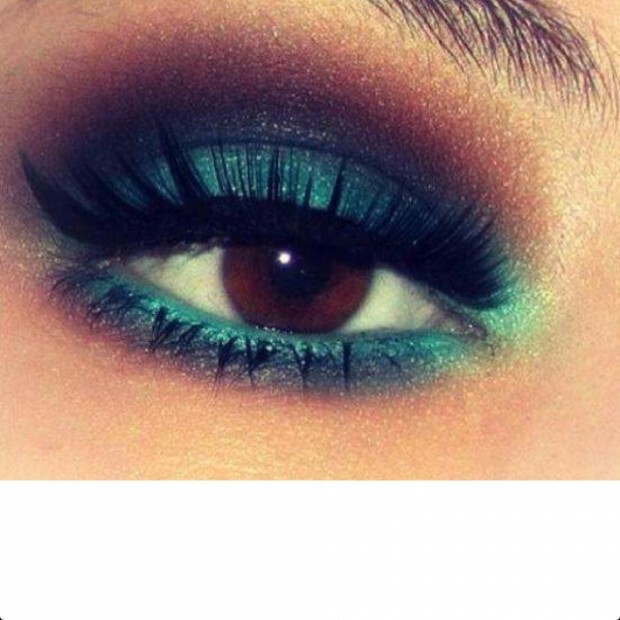 Neutral colors like taupe, peaches and even browns are all great colors that go fantastic with brown eyes, and you can just go with eyeliner in these colors too, that will really highlight your eyes. 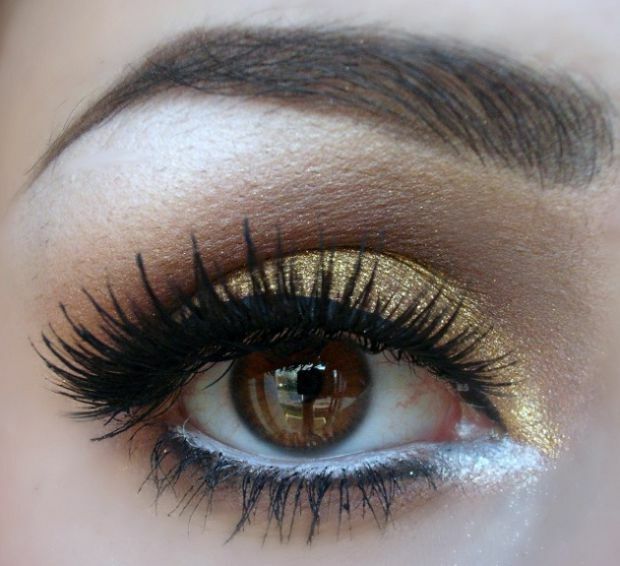 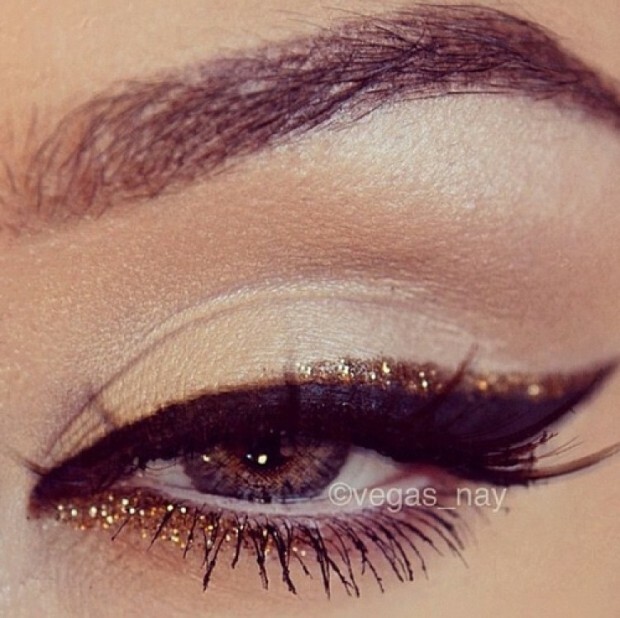 Metallic tones like gold, bronze, browns and even pinks are all colors that can truly make your brown eyes stand out that much more. 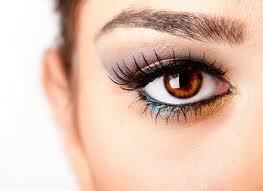 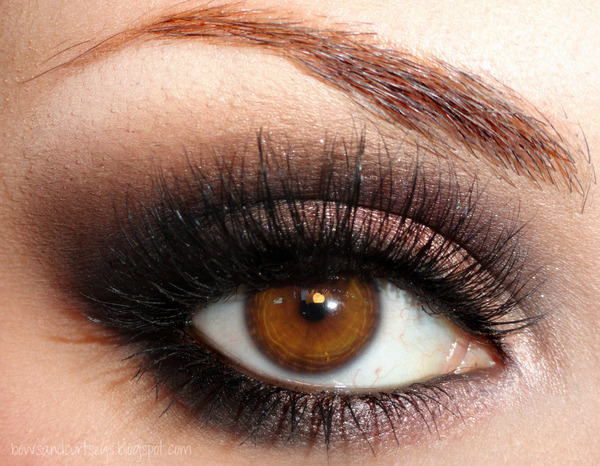 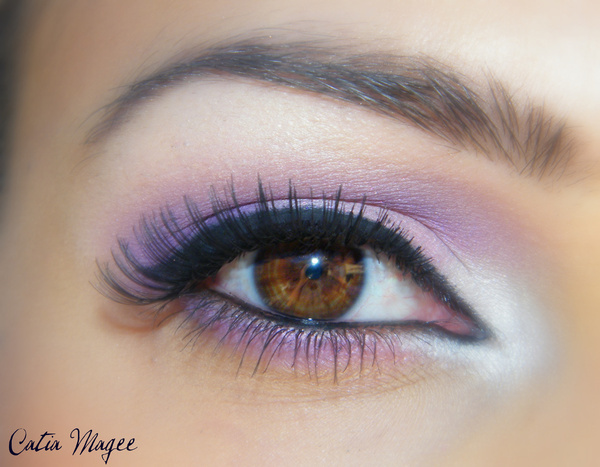 Purple is one of the many colors that go beautifully with brown eyes.